When they say goodbye they do not know if those they love who serve in the United States Armed Services will ever return. Our troops indeed are the bravest men and women on the planet, but their families who let them go are also brave, standing courageously and steadfast in their love and support of those serving their country so far from home. Today at the Cafe we remember the families who also sacrifice so much and especially those who let go of the ones they love forever. I especially want to remember my grandfather, John William Ailes III. Grandaddy on board ship circa WWII. 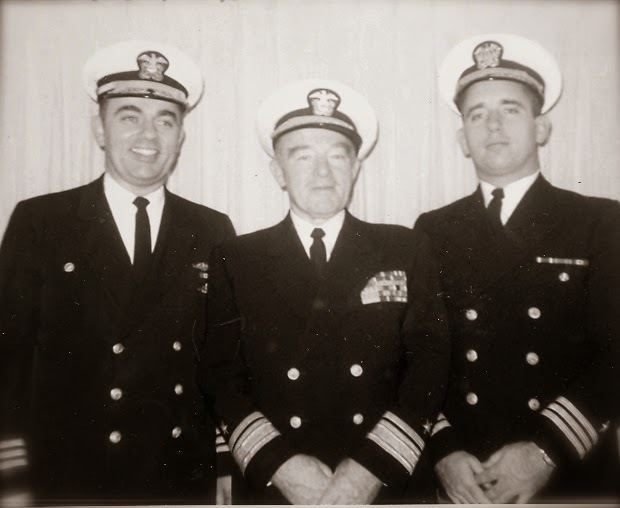 The Navy Cross is presented to John W. Ailes, Commander, U.S. Navy, for extraordinary heroism in the line of his profession as Commanding officer of the U.S.S. Cassin Young in action off Okinawa, Ryukyu Islands, on 12 April 1945. His conduct throughout was in keeping with the highest traditions of the Navy of the United States. The Navy Cross is the second highest medal that can be awarded by the Department of the Navy and the second highest award given for valor. It is normally only awarded to members of the United States Navy, Marine Corps and Coast Guard but could be awarded to all branches of United States military. It was established by Act of Congress (Pub.L. 65-253) and approved on February 4, 1919. The Navy Cross is equivalent to the Distinguished Service Cross (Army) and the Air Force Cross. April 1, 1945, was D-day at Okinawa. 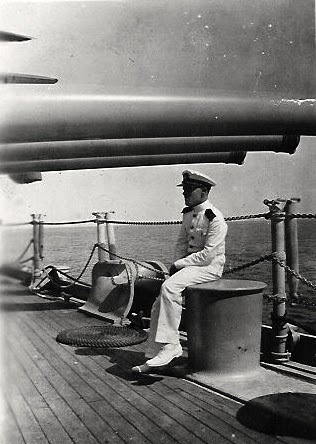 After escorting assault craft to the beaches and providing shore bombardment, Cassin Young took up the duties of radar picket ship, possibly the most hazardous duty performed by any warship during World War II. The picket's role was to provide early warning of impending air attacks to the main fleet. The ships assigned to the fifteen picket stations bore the brunt of over fifteen hundred kamikaze attacks in the weeks and months ahead. Radar Picket (RP) Stations 1,2, and 3 faced the worst of these attacks. On April 6 the Japanese launched the first of ten massed attacks, sending 355 kamikazes and 341 bombers towards Okinawa. Cassin Young was on duty at RP Station 3. The ship downed three "bogeys" (enemy planes) and picked up survivors from the destroyers assigned to RP Stations 1 and 2 (both were hit and sunk by kamikazes). Cassin Young was then assigned to RP Station 1 where, on April 12, the ship came under massive attack. Six kamikazes were shot down, but one hit the mast and exploded fifty feet above the ship. One sailor was killed and 59 were wounded. RADM John W. Ailes, III (1907-1974) was the commanding officer of the USS Cassin Young in April, 1945. He was a member of the crew of the USS Honolulu in Pearl Habor on December 7, 1941. In addition, he was the commanding officer of the Battleship, the USS Iowa (1955-1956) during the Korean War, was Commander Cruiser-Destroyer Flotilla 6 during the Cuban Missle Crisis (1962) and was Inspector General of the United States Navy. 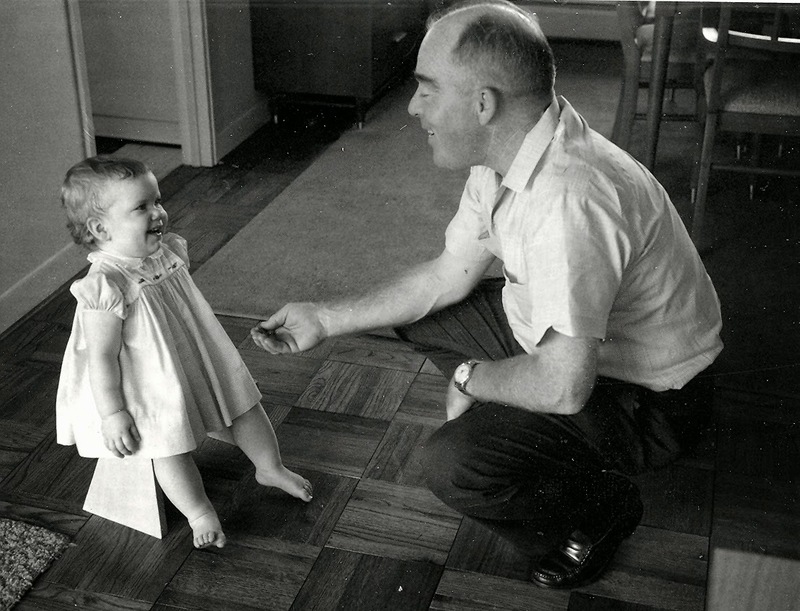 But to me he was Granddaddy, always ready with a bottle of "Cherry Smash" or to take me fishing or go to MacDonald's. I had no idea about his background when I was growing up - he was just Grandaddy. But you didn't tell him no. You may visit the USS Cassin Young. It is open to the public and moored next to the USS Constitution in Charlestown Harbor in Boston, MA. Read more about it at the webpage of the Boston National Historic Park. The tour includes Granddaddy's Cabin - restored to it's World War II period. You may see a presentation on the kamikazes attack here.